Central heating radiators are essentially closed vessels that contain circulating hot water which has been heated by a separate boiler. The heat is transferred to the surrounding air inside the building whilst the negative effects of fuel combustion at the boiler occur externally. Lengths of large cast iron pipe represented the earliest method of transferring hot water and steam for central heating. 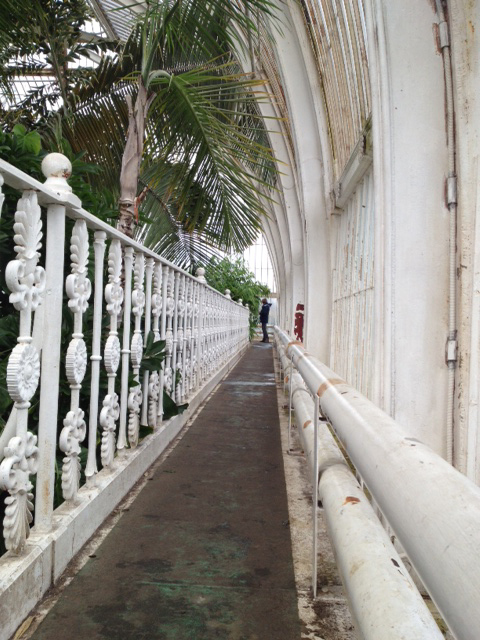 These pipes were commonly found in horticultural buildings during the Victorian era owing to the huge demand for imported tropical plants requiring warmer climates. These pipes were large, cumbersome and as such, did not lend themselves to straightforward installation in existing building structures. Methods to coil these pipes up using elbow joints to increase the radiating surface area whilst saving space came next, but these were labour intensive and would often leak. Box end pipe coils using lengthsbox end coil of pipe caulked into upright cast iron manifolds with rope yarn further reducing the overall size of the apparatus followed. 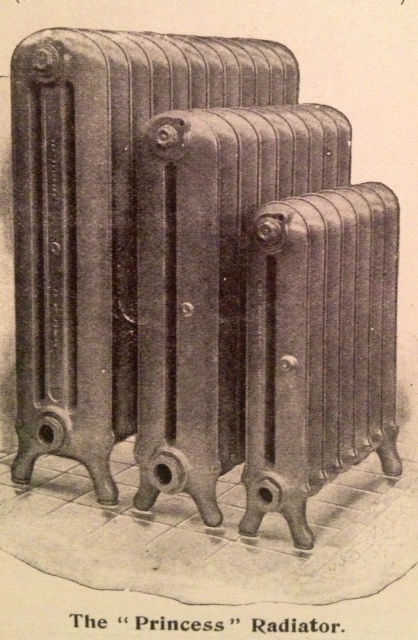 These ‘box end’ radiators proved labour intensive to construct on site, often required radiator covers and as such required more maintenance due to restricted access. They preceded the radiator as we now know it. 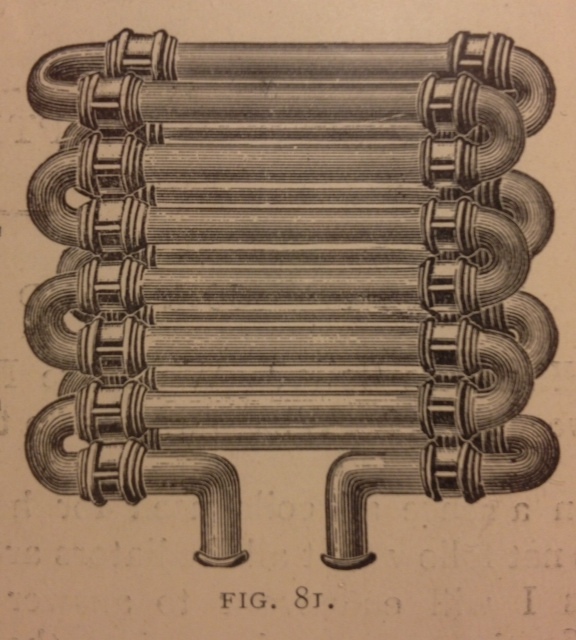 ‘Pre assembled’ cast iron radiators began to appear around 1880 They saved space due to the increased surface area of their more complex designs enabled by ever improving foundry techniques. Though they represented a huge step forward from the pipe coils, they remained restrictive due to their somewhat predetermined ‘factory built’ sizes and handling weight. Some early designs comprised of manifolds joined by vertical columns enabling greater choice in terms of size, however, the introduction of sectional radiators gave the industry the flexibility it needed to fulfil any application with ease. 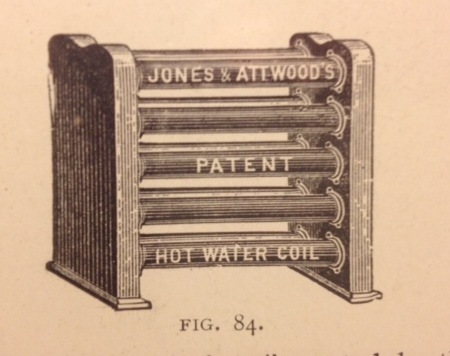 The introduction of Sectional cast iron radiators was an American phenomenon which gathered pace around the turn of the century despite the idea having been patented some years prior. 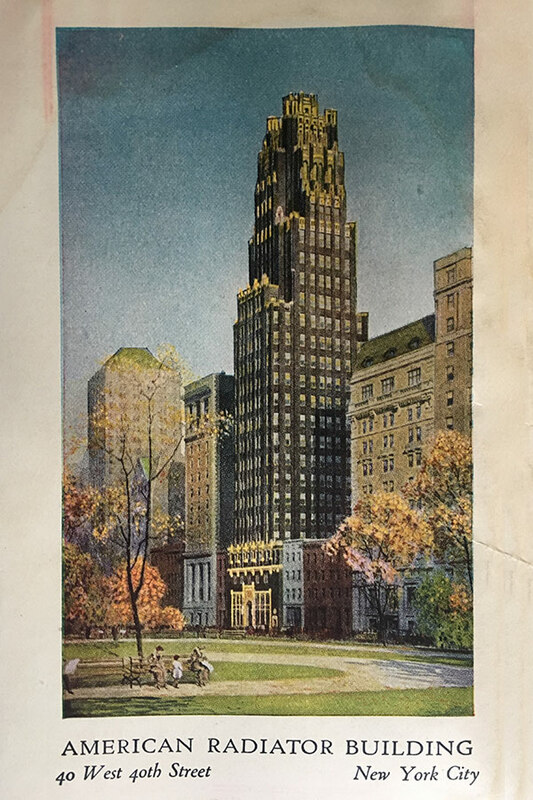 Three prevalent American manufacturers combined forces and formed the American Radiator Company which became the largest manufacturer of cast iron radiators in the world demonstrating mass production at its best. Trading as The National Radiator Company they began building factories all over Europe from 1904 including the UK factory in Hull in 1911 which grew to a size of 56 acres in the Forties. It had its own football pitch! 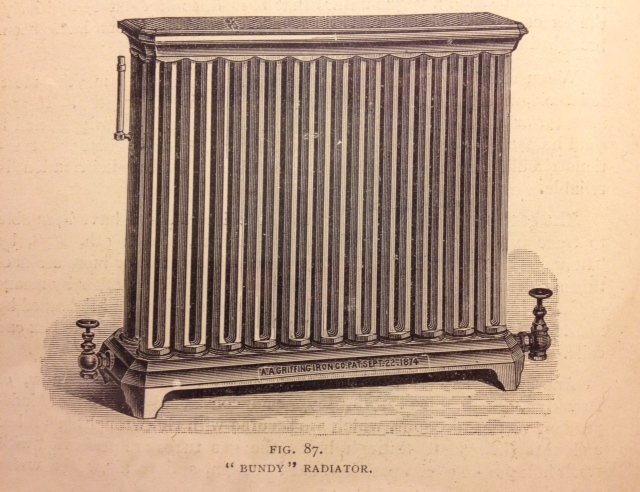 The popularity of sectional radiators was enormous, as was the fierce competition to make them. This popularity was largely due to the ease of assembly on site by one man, to any length required. Their design also suited mass production and delivered far greater reliability once installed. The Beeston Boiler Company of Nottinghamshire manufactured horticultural buildings and heating apparatus for many decades, under their previous name, Foster and Pearson Est. 1841. They were the second largest makers of sectional radiators presenting their ‘Princess & Duchess’ range. Those names have been confused during the revival of cast iron radiators in the last 25 years. The Princess range was available in all of the styles shown here. The ‘Duchess’ (now often referrerd to simply as ‘The Curly Eared’) had a curly eared feature across the top. This feature alone distguingished it from the ‘Princess’. The aforementioned manufacturers prevailed in the production of sectional radiators in Britain from the beginning of the 20th Century. Production of cast iron radiators began to wane during the 1950s in favour of pressed steel radiators but has, of course, experienced a revival during recent years.